A long-time aide to U.S. Secretary of Commerce Wilbur Ross was playing two roles simultaneously in May when she helped land a trade deal with China to increase exports of liquid natural gas: key negotiator representing the United States, and board member of a shipping company in partnership with the Russians that could gain from the deal. 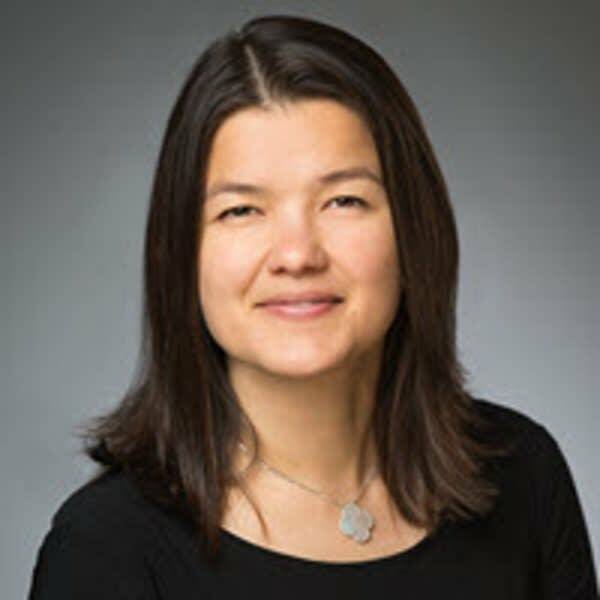 An APM Reports investigation has found that Wendy Teramoto, chief of staff to Ross, helped cut the China trade deal despite serving as a director for Navigator Holdings Ltd., a publicly traded company that ships gas products across the globe. Teramoto didn't resign from Navigator's board until July 17, according to federal filings, two months after Ross announced the deal with China. Ross praised Teramoto in May for helping strike the deal with China. When asked how it came together so quickly, Ross said in an interview with Bloomberg that "a lot of the work was really done by Wendy Teramoto, my chief of staff." The previously unreported conflict of interest created by the dual roles, while not illegal, crosses the line of ethical behavior for public officials, experts say. The news follows the revelation Sunday by the International Consortium of Investigative Journalists that Ross is an investor in Navigator via his numerous off-shore funds and is in a partnership with a Russian gas company. The findings also come days before President Trump lands in China for another round of talks focused on energy exports. Ross and Teramoto are traveling with the president this week. The China deal was hailed by Ross in May as a "gigantic step" to lowering the nation's trade deficit with China by allowing long-term contracts with U.S. energy exporters. The deal comes as energy costs, including natural gas, are down because global production is high. Like Ross, Teramoto has deep ties to the shipping industry. Through a variety of investment funds managed by Ross' firm, WL Ross and Co., Teramoto and Ross invested billions of private equity into shipping since 2011. The two also served as directors to several publicly traded and privately held shipping companies. Among them is oil transporter Diamond S. Shipping, which stands out because of its business ties to China's largest sovereign wealth fund and the country's high demand for energy products. A March 3 business filing with Navigator Holdings lists Teramoto as serving as a director for Diamond S. Shipping. Ross also served as chair of Diamond S. Shipping but pledged to step down after he assumed his role as Commerce secretary. It's unclear if he has. Officials with Diamond S. Shipping did not respond to questions about the company's relationship with Ross, Teramoto and China. A spokesman for the Commerce Department said Teramoto resigned from the board of Diamond S. Shipping before taking her full-time position as chief of staff on Aug. 1.
Business filings in Bermuda also show Teramoto still serves on the board of directors of a shipping company called Nautical Bulk Holdings Ltd. and its 19 subsidiaries. 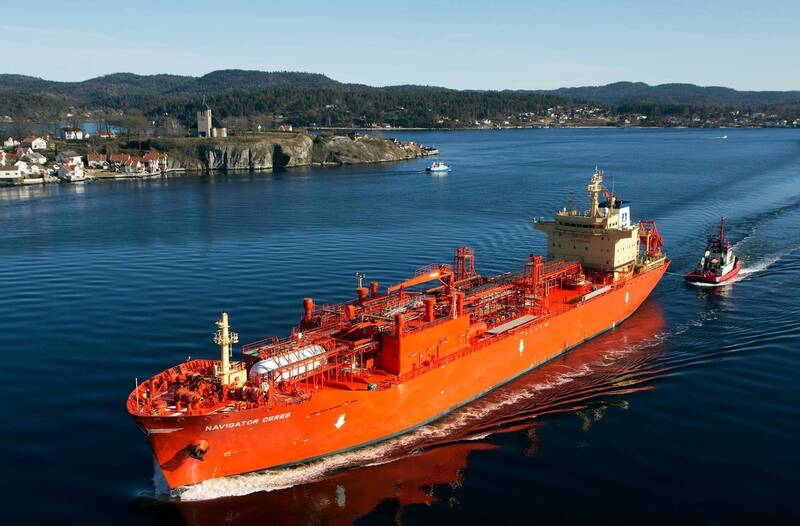 Nautical Bulk, privately held, was founded by Ross and other shipping investors in 2013. It, too, could gain from policies or trade deals supported by the Commerce Department. Teramoto did not respond to an interview request or answer questions emailed to her government account. 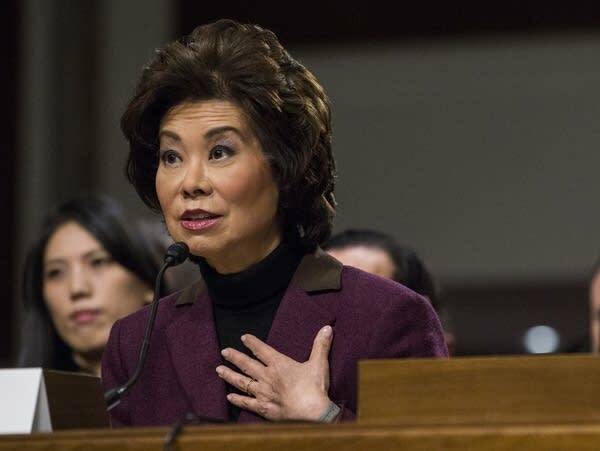 A spokesman for the Commerce Department did not respond to questions about the timing of Teramoto's resignation with Navigator, her board role at Nautical Bulk Holdings and her role in the trade deal. Her board roles with Diamond S. Shipping, Nautical Bulk, and Navigator mean another member of the Commerce Department faces conflict of interest charges related to shipping. 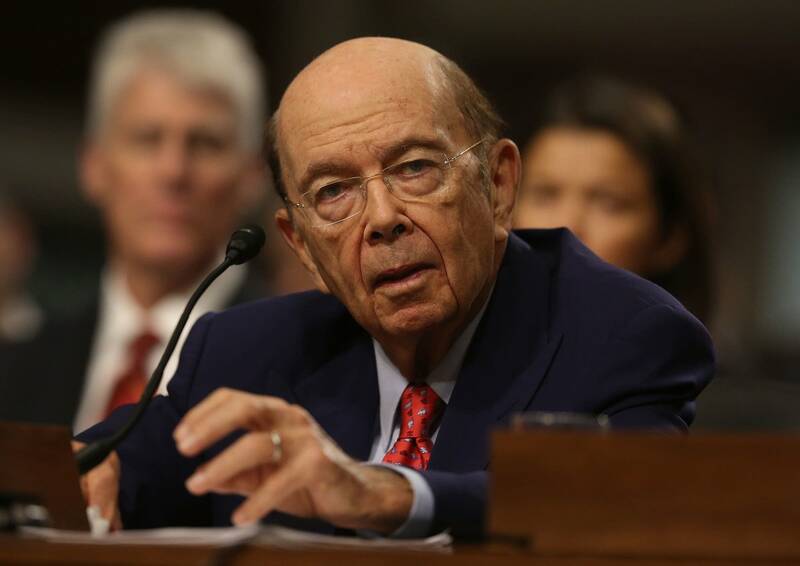 Ross said in January that he intended to hold on to his shipping interests while serving as Commerce Secretary despite the possibility that he could profit from decisions that he makes as secretary. Ross and Teramoto now face questions about their ownership stake with Navigator. The International Consortium of Investigative Journalists reported Navigator partnered with Sibur, a Russian gas company that is partially owned by Kirill Shamalov, the son-in-law of Russian President Vladimir Putin. The business relationship with the Russians is the first known by a Trump Cabinet member. Ross served as a company director for Navigator between 2012 and 2014. He first bought a stake in the company in 2011. Business filings show Ross' investment firm, WL Ross and Co., held a 39 percent ownership stake in the company when it went public in 2013. A spokesman for the Commerce Department said Ross was not involved with Navigator's negotiations with Sibur despite business filings and company statements showing Ross first started investing in Navigator in 2011. The spokesman also said Ross has pledged to recuse himself from any matters involving his shipping holdings. Ross told two news organizations Monday that there is nothing improper about Navigator's business ties to Sibur because the company is not under economic sanctions. He also said that he didn't play a role in Navigator's decision to hire Sibur and had nothing to do with the negotiations with the Russians. Ross said he probably wouldn't keep his interest in Navigator. "I've been actually selling it anyway, but that isn't because of this," he said. Teramoto replaced Ross on Navigator's board in 2014 after Ross joined the board of directors of the Bank of Cyprus. Navigator pays its directors an annual salary of $60,000 in cash and restricted stock valued at $60,000, according to business filings. Since joining the board Teramoto's restricted stock is valued at $117,220, according to a year-end filing for 2016. It isn't certain whether Teramoto divested her ownership stake in Navigator because a financial disclosure form is not publicly available through the U.S. Office of Government Ethics. The Commerce Department did not say whether she filed a financial disclosure form but emphasized that she signed an ethics pledge and is "subject to the same disqualification requirements under conflict of interest statutes as the Secretary and other Federal employees." Officials with Navigator Holdings did not respond to repeated questions about Teramoto's role on the board. Ethics experts say Teramoto's ties to shipping raise important questions about her priorities. When a government official is financially connected to an organization that could benefit from their policy decision, it's not clear in whose best interest the official is acting, especially when the relationship is not public. "She should not be on any of those boards the minute she starts working for the Commerce Department," said Richard Painter, a law professor at the University of Minnesota who served as the top ethics lawyer in the White House under George W. Bush. Teramoto was hired by the federal government shortly after Ross was confirmed as Commerce secretary in February. A spokesman for the department said Teramoto didn't become a full-time government employee until Aug. 1. However, ProPublica, the investigative news organization, reported that she was initially hired in March as what's called a Special Government Employee, a position that is defined in statute as someone "employed to do temporary duties." But Teramoto's position went well beyond a limited role if she served as Ross' chief of staff. The Commerce Department's organizational chart shows the chief of staff as one of the most important people in the office. Teramoto directs 11 departments and offices. She answers only to Ross and the deputy secretary, an office that is currently a vacant. Before joining the federal government, Teramoto, 43, worked by Ross' side for 20 years and served as a company director on behalf of WL Ross and Co., the investment firm Ross founded in 2000.
Business filings show Teramoto served as a director for several other companies, mostly to represent Ross' financial interests. Her resume shows directorships for The Greenbrier Companies Inc., a transportation and rail products company; the International Coal Group; and privately run Diamond S. Shipping Group. Ross also continues to hold a financial interest in the shipping firm. Teramoto has been active in the shipping industry for at least five years. In addition to serving as a director for Navigator Gas, Nautical Bulk Shipping and Diamond S. Shipping Group, Teramoto spoke at shipping conferences. At Marine Money Week in 2014, Teramoto headlined a presentation before a group of shipping investors, owners and analysts called "Private Equity for Shipping — Making it Work." Andy Kruse and Jacob Steinberg contributed to this report.